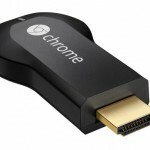 Roku announced on Tuesday the launch of a new Streaming Stick which appears to be taking Google’s Chromecast head on. 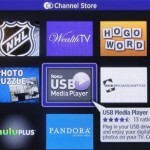 The new device is not much larger than a USB flash drive and connects directly to a television through an HDMI port, bringing streaming media to your TV through a small, hidden package. The Roku Streaming Stick also comes with a remote control similar to the existing Roku boxes (minus a headphone jack), and a Micro-USB connector for power. It also gives you access too all of the 1,200 streaming media channels that Roku has to offer including YouTube through 1080p and supported by dual-band WiFi. Compared to Google’s Chromecast this adds a remote, more channels and an extra $15 is cost for the device. The only thing it really can’t access that Chromecast can is your Google Play media library. Roku is launching the new Streaming Stick in April, retailing for $49.99.